You’ve been out to the shed and tried to start the mower again and again without any joy…… ‘It started OK back in the summer’ you say to yourself. Maybe a cup of tea and a biscuit will make it better and then I’ll have another go later on. This ritual is played out many times in sheds all over the country. More than likely it won’t start because the fuel is bad. Yes, there is such a thing. Petrol has a shelf life of about 3 months before it goes stale and pretty much useless. So what can you do to get your mower working. Well there are some easy steps to take. Firstly don’t add fresh fuel to the existing stuff that’s in the tank.. bad idea. You need to drain the old fuel and put some fresh fuel in the tank. Secondly, you need to remove the spark plug and give it a good clean with a wire brush or some sandpaper and screw it back in. Thirdly, you need to clean the carburettor. Hopefully, some carb cleaner from Halfords will do the trick. Just remover the air filter and spray a couple of shots of carb cleaner directly into the inlet (past that small metal round disc ). Now give it a try.. Hopefully this may do the trick. If you have it running it may sound a wee bit ropey and you may need to repeat the process until the engine warms up. If not, further work maybe required. 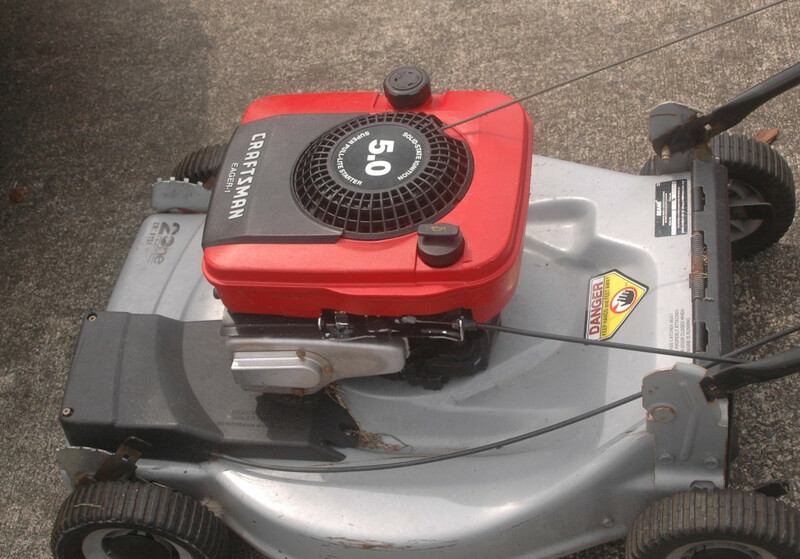 Some mowers have a fuel diaphragm that may need to be changed or further work on stripping and cleaning the carburettor and fuel tank. Or… just give me a call and I can sort the problem out. Whichever is easier just remember for next year…. run the mower dry of fuel before you put it away for the winter or it’s back to tea and biscuits.